It is not called Cape Point Challenge for nothing and this year was no exception. Leading up to this year's Cape Point Challenge we were all refreshing our different wind apps to get an idea of what the wind was doing. 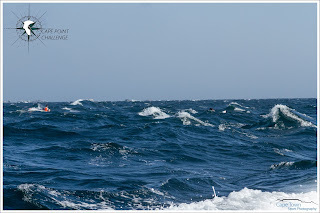 At first it was looking like a light SE wind with a small swell of less than 2m. But this was changed as the days went by and on Friday the forecast was for the holding Black South Easter to rear it head for race morning. 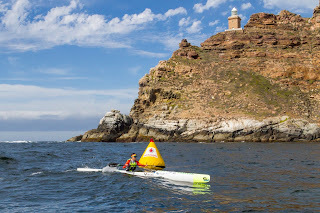 Pete Cole made a call to stay inside the bay for the race, that would take us from Simon's Town to the Point and turn and then head back to Fish Hoek with a compulsory check point just off the beach at Buffel's. We were only in Tenerife for one week after leaving South Africa before heading to Villajoyosa for the Eurochallenge. I really love this race. The town of Villajoyosa is not far from Alicante airport and with a beautiful stretch of beach, great harbour and the home of the famous Valor Chocolate makes an awesome venue for the race. 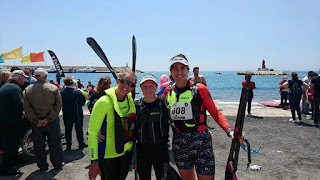 We arrived on the 25th April, a few days before the race window, once we had dropped our bags at the hotel we walked to the race venue so I could set my boat up and go out for a light session. The next day Kenny arrived along with the wind so after a bit of lunch, Juan from Club Nautica Villajoyosa dropped us off in Benidorm for a 12km downwind. A short side wind section to get out to sea and then we had a fantastic downwind back to the club. I was feeling really good and my Carbonology Pulse was handling the conditions perfectly. Happy New Year to you all, may 2018 be everything you wish for and more. A quick look back at 2017, which was a great year for me, Started in May with a podium at the Eurochallenge World Cup. 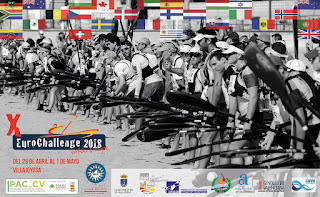 The Eurochallenge is in Villajoyosa and it is a great event, if you have not been you are missing out. Dates for 2018 are 28th April to 1st May so get booking. We have just come back from an incredible few days in Las Palmas, Gran Canaria. It was awesome to train with Club Amigos and everyone over there. The club is right on the beach and there are so many options for different downwind routes. Thanks to LivingSea for everything, click on their name and check out their website for any training camps they offer or you can get a group and get LivingSea to arrange a camp for you and your friends. Check out the video below to get a taste of what is there. Now we are all getting ready for the Spanish National Champs next weekend. Look forward to racing again. I thought I would write about my travelling as I am always doing write ups on races and we do travel a lot so this should help anyone else who travels a lot. Booking.com Booking.yeah Firstly I have used booking.com 48 times, so my profile tells me. This booking site is the best hotel booking site I have used and it is the only one I use. If, which has only been once, I have a problem they do their best to resolve it. So if you want to get a discount off your first booking click on the link below and follow the steps. We will both benefit so give it a go. We stayed in 4 different booking.com hotels last week and we had great stays in all of them, I am not sure who or how they check their hotels but they are doing a great job. 3rd in the Eurochallenge World Series Race 2017. 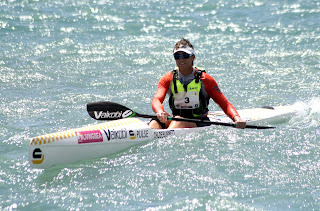 The Eurochallenge World Series Surfski Race is on of my favourite races on the calendar. It is located in a little fishing village near Alicante called Villajoyosa. The organisers at Club Nautico de Villajoyosa are awesome, very welcoming and helpful. This year was a difficult year for them, the wind was Easterly one day and then South Westerly and then North Easterly. Being a sailing club they looked at the forecast and chose Sunday as our race day and changed the course so that we could have the best downwind possible. They were spot on with their decision and we had a very technical but awesome downwind, just what our sport is all about.